Summary: As a member of the technical staff, the Senior Engineer – Electrical is involved in all aspects of complex projects from inception to conclusion. The Senior Engineer – Electrical provides operational power by developing and maintaining the Company’s engineering procedures. Involvement of assigned projects in a manner that exceeds customers’ expectations and ensures that work adheres to all companypolicies is required. This position reports to the Vice President, Engineering. Assists in the development, review and approval of construction plans, including goals and objectives, work breakdown structure, detailed scope descriptions, detailed schedules, risk management approach, milestone descriptions, budgets and staffing requirements. Provides technical support to marketing for bids and proposals. Manages, expedites, and supports consultants’ and construction document submittals, budgets, and schedules. Maintains and fosters contacts with consultants, contractors, vendors, and material suppliers. Assists with the development of new Engineering standards and maintains and improves existing standards and guidelines, implementing industry and company best practices. Acts as a subject matter expert regarding some electrical engineering activities. Interacts closely with internal teams to ensure that project needs and objectives are met. Prepares engineering scope documents, exhibits, budgets, specifications, schedules, and Requests for Proposals (RFPs). Leads or participates in project meetings and conference calls. Produces quality engineering plans, studies, and specifications while ensuring compliance with department, project, company, utility, regional electrical entity, and industry requirements and standards. Participates in engineering, design, and construction review processes. Leads and conducts value-engineering studies of alternative design approaches. Interprets plans, specifications, drawings, and documents related to engineering and construction. Leads or assists with investigations of electrical-related issues, including root cause analysis as needed. Bachelors of Science, Electrical Engineering from an accredited college or university with a minimum of ten years related experience/training, and/or approved equal experience/training; professional registration is required. Must be able to pass background check, drug screen and have acceptable driving record. While performing the duties of this job, the employee is regularly required to sit. The employee frequently is required to walk; use hands to finger, handle or feel; reach with hands and arms; and talk or hear. The employee is occasionally required to stand. The employee must frequently lift or move objects up to 10 pounds and occasionally lift or move objects up to 25 pounds. Specific vision abilities required by this job include close vision, distance vision, color vision and ability to adjust focus. This position requires travel, including but not limited to, travel to local and nonlocal project sites, training, etc. This is a full-time position, with a minimum expectation of 40 hours per week. Dependent on workload, hours may be somewhat flexible, and some late evenings and weekends may be required. 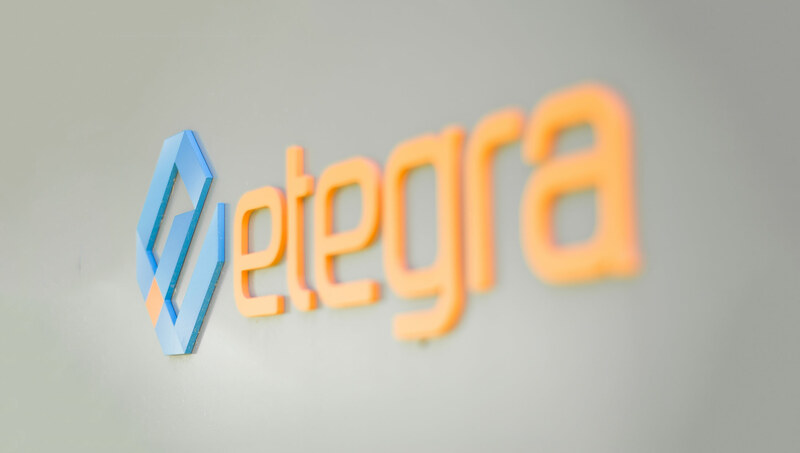 Etegra, Inc. is an e-Verify, Equal Opportunity Employer.